Back in 1953, when GM CEO Charlie Wilson somewhat famously said, “I've always believed that what’s good for the country is good for General Motors, and vice versa,” he probably wasn’t thinking about the sustainability program the company has come to adopt some fifty years later. To be sure, the company, like most manufacturers, has done some things that weren’t particularly great for America, particularly with regards to the environment, but this is a very different company today, and a very different America. Today, there is a great deal of awareness and concern about the environment sweeping through all 50 states (although, apparently not the District of Columbia), and through a great many corporations as well. General Motors today is one of the leading companies in this realm, with their RE100 commitment to renewable power, their innovative line of electrified vehicles, and their unparalleled commitment to waste-free facilities. Perhaps no one at GM exemplifies their commitment to the sustainable practice of business than their zero-waste guru, John Bradburn. We spoke with Bradburn this week, whose official title is, “Global Waste Reduction manager,“ on the occasion of GM announcing the addition of 27 newly certified landfill-free facilities, bringing the global total to 142 sites, including both manufacturing and non-manufacturing facilities. Bradburn, who has been quoted as saying that “waste is simply a resource out of place,” continues to amaze with his creative application of materials and resources, that had previously gone straight to the dumpster. Whether it’s re-purposing old concrete for new walkways, to cleaning rags for reuse, or donating empty battery containers for use as nesting boxes for wood ducks, Bradburn and his team have an inexhaustible enthusiasm for finding a place for every resource for which no place had previously existed. Their passion extends to the issue of “global turbulence” which Bradburn aims to reduce, while also retrieving some of the stray materials that result from it. His team has held “zero-waste events” that retrieved waste from the flooded Ohio River (mostly water bottles), as well as old tires from the Mississippi. The water bottles became new water bottles. GM has also used water bottles for air filtration elements to protect workers, sound proofing for vehicles, or insulation to make outerwear for the homeless, the latter done in partnership with The Empowerment Plan. The tires, on the other hand, were ground up to be used to make air baffles for GM cars and trucks. Two great takeaways came out of the conversation. First, by connecting up multiple players in these endeavors, which could be any combination of companies, municipalities and volunteer organization, you end up with a supply web, which is far more resilient than a supply chain. While a chain is only as strong as its weakest link, a web is much stronger. Entities like the U.S. Business Council for Sustainable Development’s Materials Marketplace, which GM co-championed, provides a mechanism for those with excess material to connect with those who might have a use for it. In a way, it’s a virtual version of Denmark's Kalundborg Symbiosis. Second great point: contrary to what you might think, ticking off the number of plants that become landfill-free is not a one and done proposition. Says Bradburn, ”Zero waste created the barometer, but it’s not the finish line.” That’s because there are always better ways that discarded materials can be used. More value can always be extracted, though the value is not always measured in financial terms. Look at the Empowerment Plan, where discarded plastic and water bottles are converted into insulation, which is sewn into coats and sleeping bags for the homeless, by people who are homeless, who now have jobs and are learning invaluable life skills. 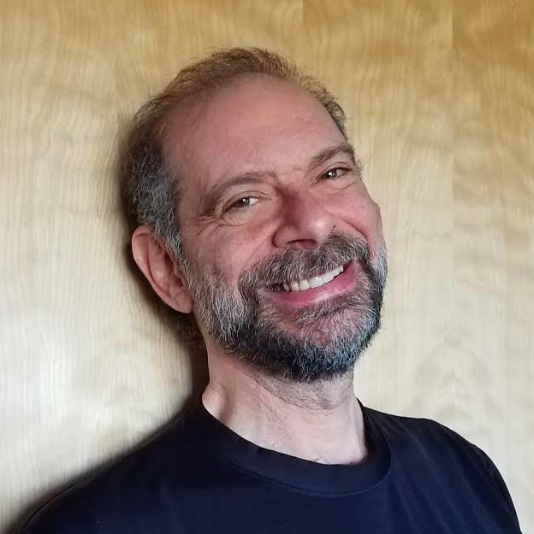 “Zero waste is good, says Bradburn, “but what would it take to be great? The next phase is for the landfill-free plants not to be satisfied with what they’ve achieved.” There are so many dimensions that could benefit from additional value, whether it's human health, the environment, strengthening communities, empowering individuals, building social capital, the list goes on and on. 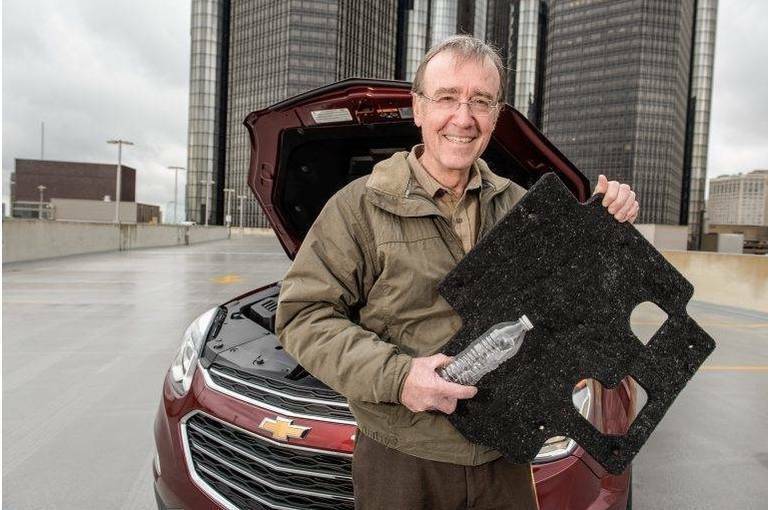 Pictured above: GM Global Manager of Waste Reduction John Bradburn demonstrates the Chevrolet Equinox engine insulation made from used water bottles from several GM facilities. Photo by Santa Fabio for General Motors.